Were you involved in an accident where you were injured or suffered property damage? You may be able to file an insurance claim to obtain financial compensation for your injuries and other losses. Be aware that insurance adjusters–the ones deciding how much money you will receive or will be expected to pay–are trained to minimize your payout. Insurance adjusters are not inherently bad people, but the fact remains that their employers concern themselves with one thing, and that is profit. As a result, your insurance adjuster cannot always be trusted to look out for you. 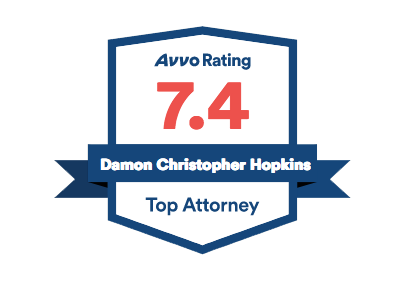 Attorney Damon C. Hopkins is an experienced insurance claim lawyer that has helped clients settle insurance claim disputes for over 21 years. Attorney Hopkins works hard to help his clients understand what is happening throughout the insurance claim process, and makes sure that you, the victim, receives a fair and timely compensation. There are two types of insurance claims you can file for: first-party claims, and third party claims. The type of claim you file for will depend on who was at fault in the accident, the type of accident that occurred, and the extent of your insurance coverage. If you caused an accident while driving, you should file a first party claim with your auto insurance provider. However, if you were hit by a vehicle while in the passenger seat or walking along the street, you can file a third party claim with the driver’s auto insurance. If you were injured while shopping in a store or eating at a restaurant, you can also file a third party claim with the business’ insurance company. A first party insurance claim is between the insurance company and the policyholder. These claims are contractual by nature and are contingent on the specific language of the insurance policy. A first party insurance claim, for example, could result from a homeowner suffering from fire damage. In this case, the homeowner will make a claim with their insurance company to cover the damage and repairs. The insurance company will compensate the homeowner according to the insurance policy. In order to make sure you understand what is in the policy agreement, call Damon Hopkins, a respected insurance claims lawyer in Erie, PA. Attorney Hopkins will fight to make sure you get every dollar that you deserve from insurance companies to compensate you for the pain, suffering, discomfort, lost wages, expenses, and aggravation that comes from being seriously hurt in an accident. A third party claim is commonly referred to as a liability claim because someone else is liable for the injuries suffered by the third party. Before the insurance company offers you a first or third party settlement, the claims adjuster needs proof that the insured party was negligent, and that your injuries are severe enough to qualify for a settlement. The claims adjuster will investigate the facts of your case. To make sure your insurance claim isn’t denied and that you are getting an adequate amount for your settlement, call Damon C. Hopkins to evaluate your insurance claim. When an accident or some other incident causes an injury, in most situations, someone’s insurance coverage will apply to the situation. In that case, there’s a good chance that the injured person’s medical bills and other losses stemming from the accident will be fully paid for out of that coverage, up to the dollar limits of the policy. In many instances, an injury-related insurance claim–a first party or a third party insurance claim–resolves as a settlement agreement without a lawsuit ever getting filed. In other words, many more injury-related insurance claims are filed than actual court-based personal injury cases. But sometimes it isn’t always that easy. Some clients believe that getting an attorney involved with insurance claims is something only done as a last resort due to potentially escalating the issue at hand. However, you should call an insurance claim attorney before or immediately after a claim has been reported. Involving an attorney can ensure that the claim is filed properly and that any adjustments have been made to avoid the need for litigation. An insurance claim lawyer like Damon C. Hopkins also evaluates insurance claims to prevent any wrongful denials of coverage. Aside from personal injury insurance claims, Attorney Hopkins provides legal services for personal injury litigation. 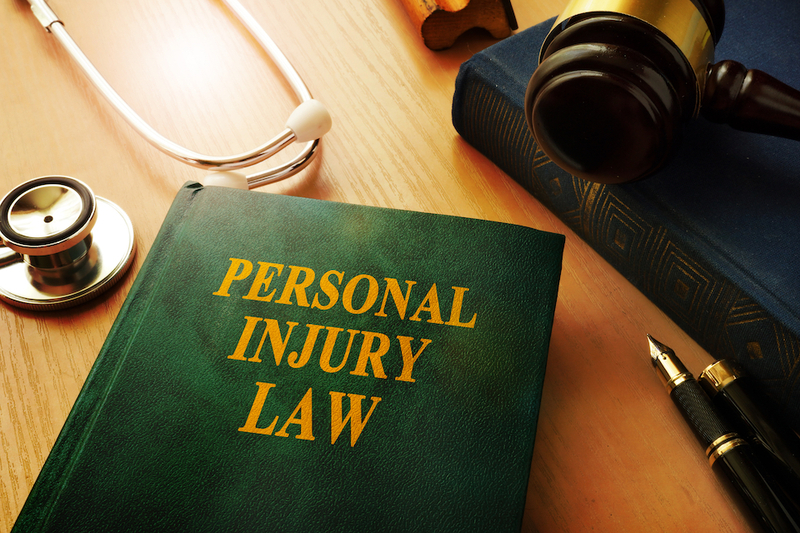 Personal injury litigation cases can occur from nearly any type of accident. Before accepting a case, accident attorney Damon Hopkins will learn the fine details of your situation and determine if you have grounds for pursuing legal action. If you have been hurt in an accident, through no fault of your own, you are entitled to seek financial compensation from the at-fault party. As your experienced injury attorney in Erie, North East, and Corry, PA., Damon C. Hopkins will fight to see that you receive the best recovery possible to compensate for your pain and suffering, medical bills, and lost wages. Can First Party Insurance Claimants File a Lawsuit? Yes! Even though coverage under a first party insurance policy is specified in the contract, insurance companies do not always pay out everything they are required to by law. In the insurance industry, this is referred to as bad faith insurance practices. In the case of bad faith insurance practices, it is often necessary to file a lawsuit. I’m A Working Person, How Can I Afford An Attorney? In most Personal Injury cases, an attorney will accept a case on a contingent fee basis. A fee is contingent when it is conditioned upon your attorney’s successfully resolution of your case. And is often referred to as: “No fee unless you win.” However, the client is generally responsible for the “out-of-pocket” costs of litigation.